The rover was set for just a three-month life span after landing in 2012. NASA has ended the mission for its Mars rover Opportunity after it spent 15 years roaming the red planet. 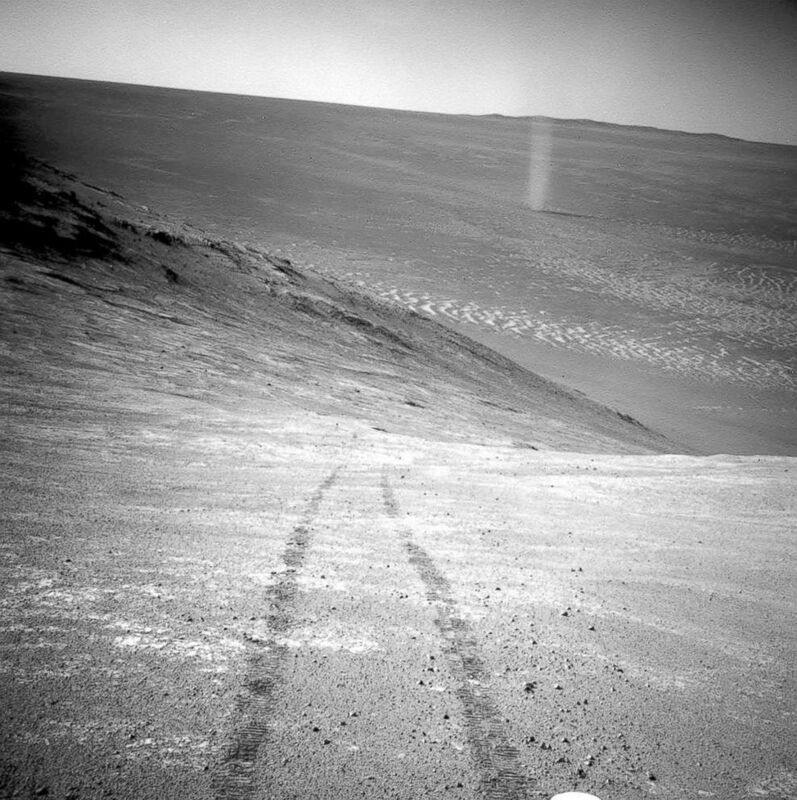 (NASA/JPL-Caltech via AP, FILE) A dust devil in a valley on Mars, seen by the Opportunity rover perched on a ridge. The rover, which was initially set to have a three-month lifespan on Mars, celebrated its 15th birthday last month. 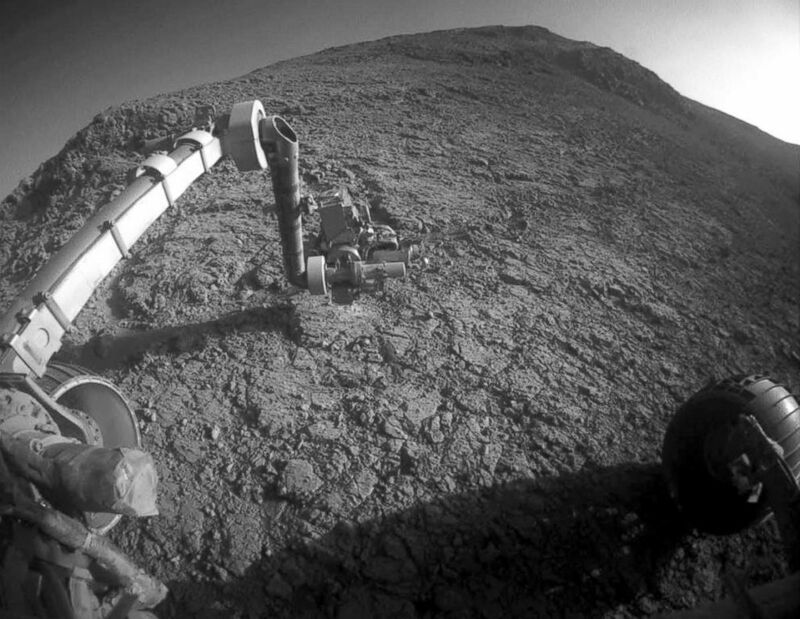 NASA credited Opportunity's surprising longevity to choosing north-facing slopes in the winter, allowing it to collect energy through its solar panels. (NASA/JPL-Caltech via AP, FILE) The tool turret at the end of the the Opportunity rover's robotic arm on the southern side of "Marathon Valley," which goes through the western rim of Endeavour Crater. Since the rover's landing in 2012, it has recorded a spike in methane levels and confirmed the first definite finding of organic compounds in the surface material of the planet through samples dug up from the Gale crater, a dried up lake on the Red Planet, according to NASA. The findings supported theories that Mars is an active planet that may have exhibited an environment for some form of life.